If your school is anything like mine, you send home way TOO MANY papers home on Meet the Teacher night for parents to sign and return to school. 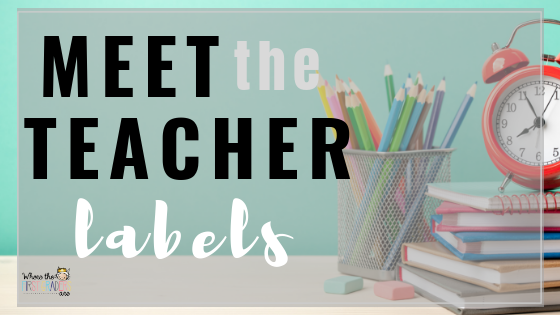 To manage the paperwork, I started using a Meet the Teacher folder to help parents identify what needed to be filled out that night, what could be returned on Monday and what information could be left at home. 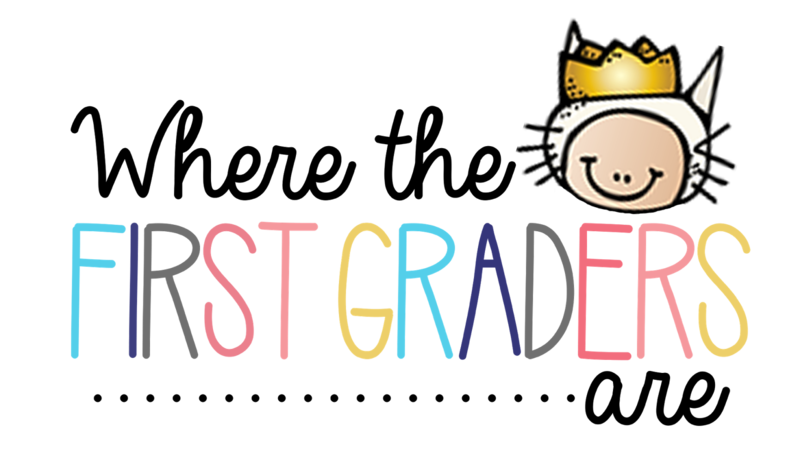 I used these cute little labels to clarify the three categories. 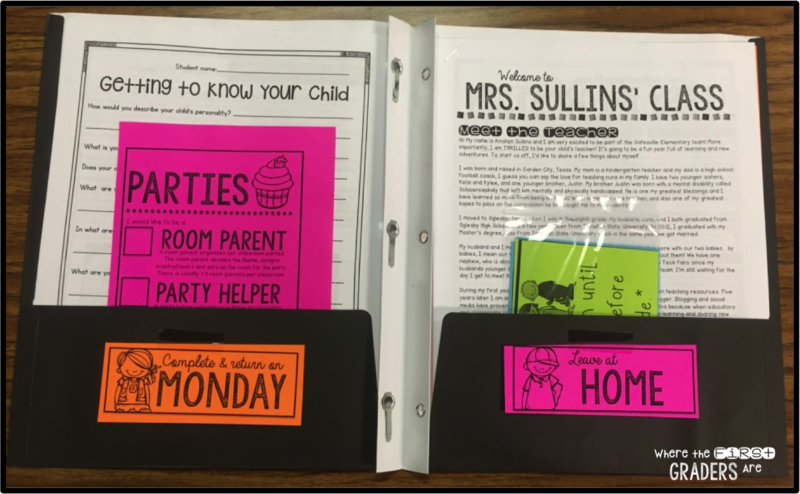 I also use my Meet the Teacher folder to collect information about which parents want to volunteer to serve as Room Parent. 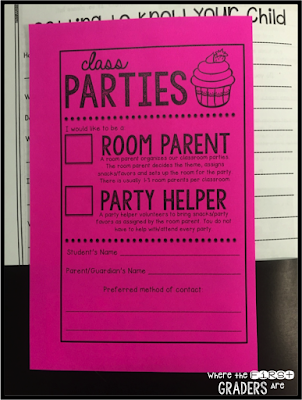 At my school, the room parent is the guardian angel that organizes ALL class parties! (Seriously, they earn their wings!) 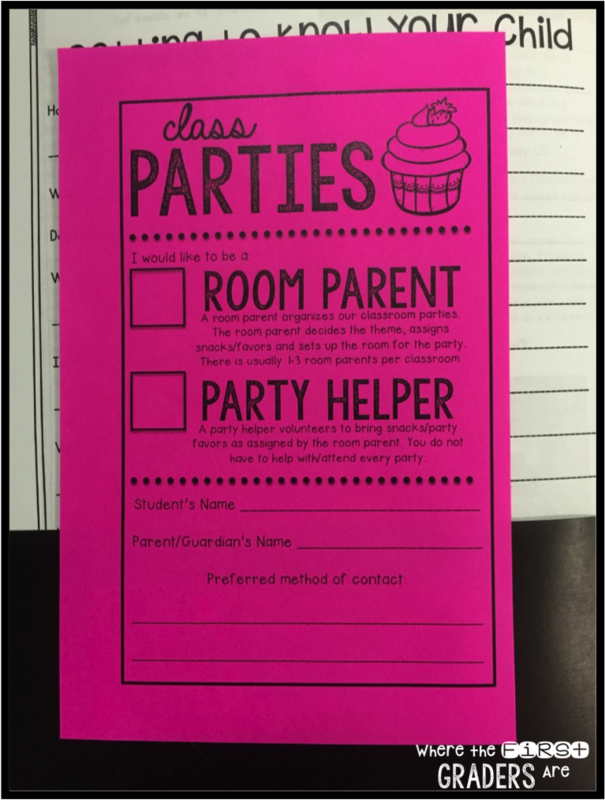 I use this form to collect the information that I need, and the information that the room parent will need from parents who want to supply food and favors for the class parties. The campus I work at it 1st-3rd grades. Students are not allowed to walk to and from campus, so we only have two modes of transportation: car pick up or bus rider. 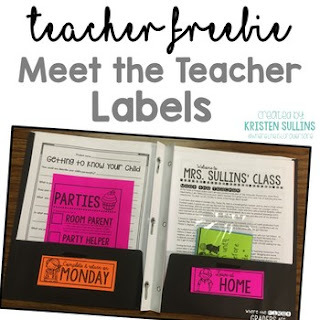 At the beginning of every year, I make a tag and attach it to my students backpacks. I've tried several different things in the past. This year, I chose to go with a simpler design that allows for more flexibility. I will put the student's name at the top, then write their mode of transportation in the blank space. I needed more flexibility because there are now three different porches a student can be picked up on and I want to be able to right their porch number, etc. 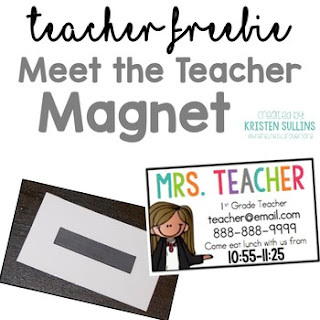 I used a dry erase in the example, but I plan to use a sharpie (which can still be erased with a Magic Eraser). I'm still trying to decide if I want them to hang vertically or horizontally from backpacks. What do you think? I think I would hang them vertically. Love the idea. Would you be able to let us know the font that you used for the Transportation Tags?